Knowing letter names is an essential part of reading readiness. 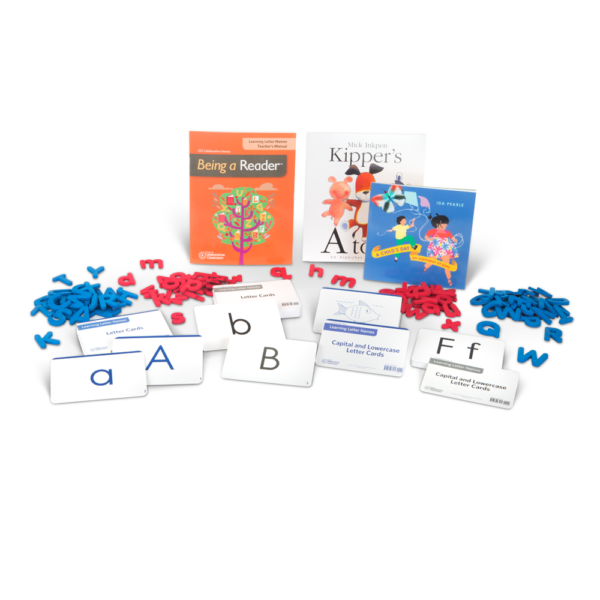 Being a Reader Learning Letter Names teaches all 26 capital and lowercase letters of the alphabet through 20 engaging lessons. Easy-to-follow routines, two alphabet books for reading aloud, alphabet cards, and foam letter manipulatives make learning the letter names fun and meaningful. Includes 20 lessons for teaching and practicing letter names; two read-aloud children’s books to stimulate interest and engagement; daily ideas for connecting to independent word work areas; and letter cards and manipulatives for independent practice (capital and lowercase letters).